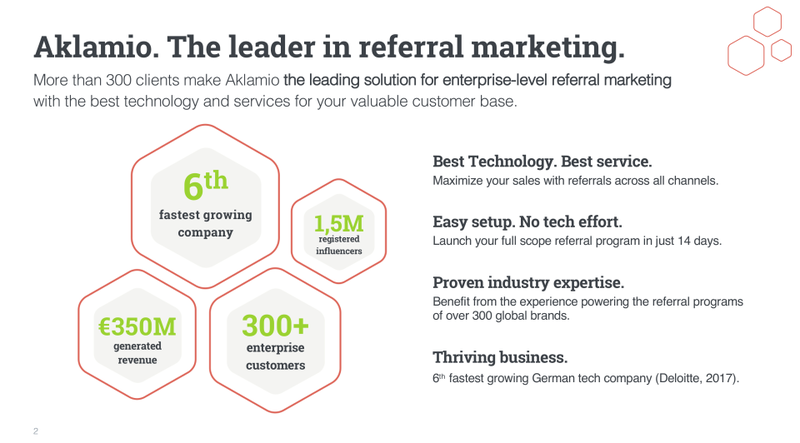 Aklamio offers referral marketing solutions to companies worldwide. 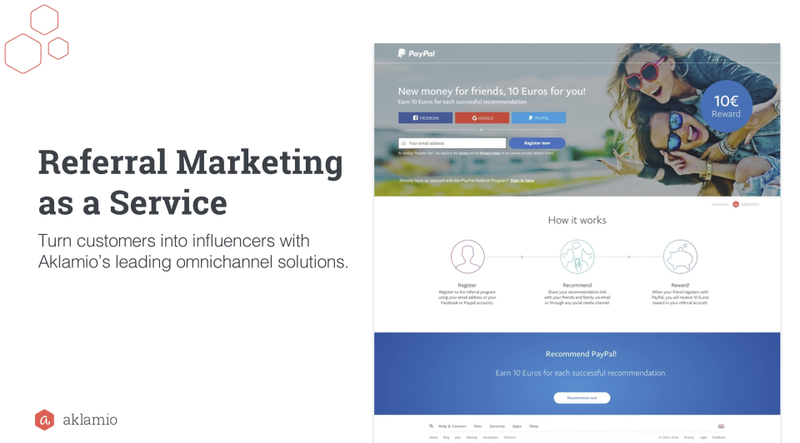 Boost your acquisition with online and offline refer-a-friend, member-gets-member, employee-get-member programs powered by Aklamio. 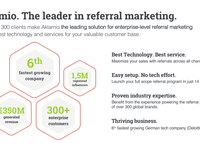 Founded in 2011, Aklamio has become the leading referral marketing SaaS solution for enterprises with clients such as Vodafone, Paypal and Endesa. 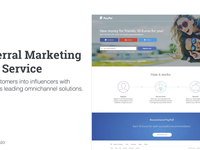 More than 300 international brands identify and reward influencers among their customer base to boost their sales through referrals. The company operates offices in Berlin, London, Madrid and Paris and was ranked 2nd fastest growing technology company in Germany (Europes 1000 fastest growing companies 2019, The Financial Times).